One of my favourite sayings is “let food be your medicine”. I’m a bit of a fanatic when it comes to tea, I’ve got more boxes of it in my cupboard than I’ll probably ever get around to drinking. I love it hot on chilly winter evenings and as refreshing iced tea from the fridge in summer. 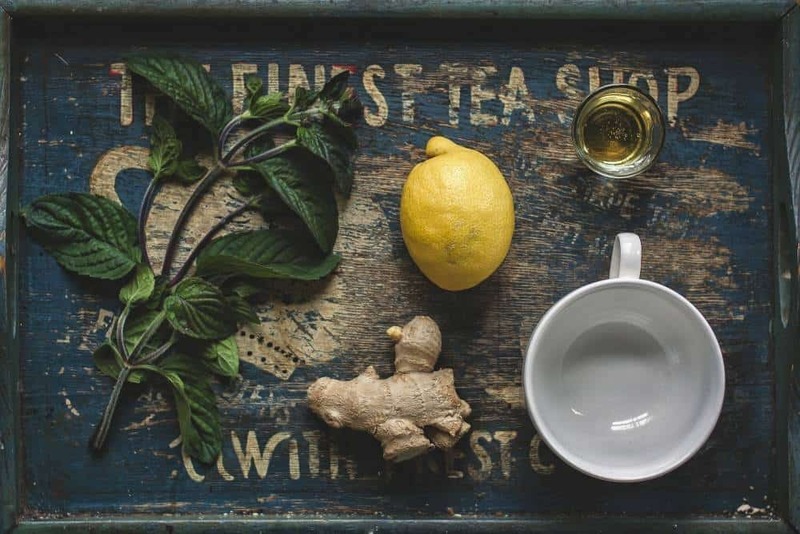 One drink with medicinal properties that’s on my regular roster is ginger turmeric tea. Not only does it taste delicious – sweet and spicy – but it has some pretty impressive medicinal properties. I’ve summarized the health benefits of ginger turmeric tea for you in this article. I think once you read about it, you too will be convinced to drink a cup every day! Ginger is a flowering plant native to Southern Asia. It’s the root that you’re most likely familiar with – it’s often used as a flavouring in food and a traditional remedy. Ginger has a hot and spicy taste used in recipes across the world – from Indian chai masala to a palate-cleansing sushi accompaniment in Japan. Turmeric is a herbaceous perennial plant in the ginger family. It’s native to India and the root is a common component of Indian cooking – especially in curries. The root is boiled, dried and ground into a yellow-orange spice powder before use. It has an earthy, peppery flavour. Not only are ginger and turmeric great on their own, but they actually work better together. Like many natural substances, the different phytochemicals present interact with each other for increased potency. Compounds called gingerols in ginger act as bioenhancers (source). This means that they help your digestive system absorb other compounds. 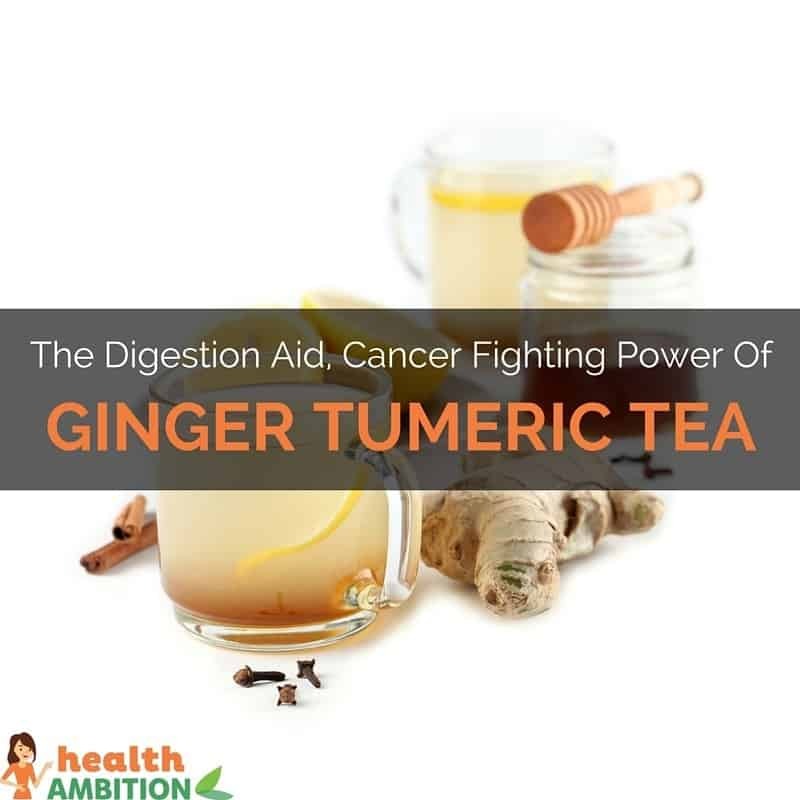 Since the main active component of turmeric – curcumin – is poorly absorbed on its own, it’s likely that consuming it with ginger helps the process along. A study measured this effect and found that curcumin “significantly reduced” signs of inflammation in rheumatoid arthritis. It may even prevent arthritis from developing in the first place. (source) If you suffer from chronic inflammation, drinking a cup of ginger turmeric tea every day is a great idea. So many foods on the market these days claim to have anti-cancer powers as a selling point. But the science backs this claim up when it comes to ginger turmeric tea. 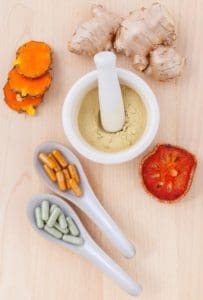 A study published in the British Journal of Cancer found that ginger and turmeric extracts had the ability to inhibit the growth of cancerous tumors. Because the components of this tea have such potent medical properties, it follows that they can interact with prescription drugs in a similar manner. If you take a regular medicine or have an ongoing health condition, check with your doctor or pharmacist before taking ginger turmeric tea. If you are taking blood thinners, you must avoid ginger and turmeric completely. 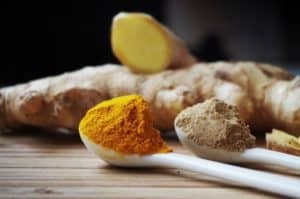 I was really blown away by the amount of hard scientific evidence supporting the health benefits of ginger turmeric tea. I think it’s worth drinking regularly for these effects, and the delicious flavour. I recommend it to all my friends and hope you enjoy it too! This article is really helpful! Thanks for the scientific facts and references too. I have been doing some research on this miracle root “turmeric” and ginger for a while, I want to start my business career in turmeric health products. In fact, I will like to have a practical visit to a recommended turmeric products factory in India. Hi Helen. Other tumeric/ginger tea recipe recipes I’ve read say that a small amount of ground black pepper raises the absorption rate of tumeric significantly (up to 2000%), and that incorporating an ingredient with some fat helps the bio-availability also. So I normally use coconut milk for my tea (not sure on the fat profile of almond milk).